or full day session of education and training for spouses and family members. What is covered in a family meeting? business interests and other assets from divorces and law suits. important factors can be taught and reviewed. 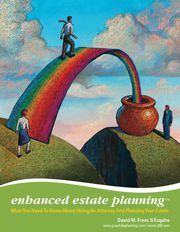 understands and creates estate planning for themselves. Who runs a family meeting? real estate or life insurance is involved in the plan. Who participates in family meetings? law suits might have all of the family members involved. at the family meeting, there might be multiple sessions for each age group. How much does it cost to hold a family meeting? thousand dollars to tens of thousands of dollars. planning believe that these up front costs can pay massive dividends. incurred in an unnecessary will contest. and later gets divorced, they might have otherwise lost 50% or more of those assets. as much or as little specific financial disclosure as you see fit. as well as the family meeting. of having such a team present. clients find the specific type of family meeting that is best for them. vacation destination, please call or email David Frees for more information. David M. Frees III focuses his practice in the areas of representing executors and trustees as well as estate planning using wills, trusts, family limited partnerships and related tools that can help you to achieve your estate planning goals while also creating asset and divorce protection for your heirs. 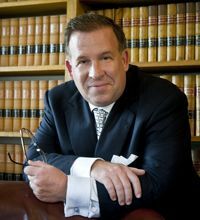 You can reach David's assistants/paralegals at 610-933-8069 for a consultation or for a telephone appointment with David Frees. If you want to have a truly effective estate plan and want to know more about wills, the various types of trusts, and more advanced estate planning tools before you select an attorney call 610-933-8069 to request a no obligation copy of Dave's new resource - "Enhanced Estate Planning: What You Need To Know About Wills, Trusts, Powers of Attorney, and Lawyers."